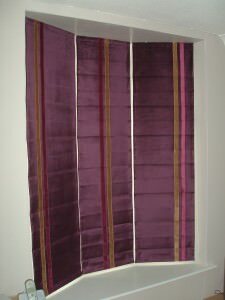 Wanting stylish Roman blinds for your home? Highbury Design supply and fit Roman blinds for all types of windows. We create all our bespoke Roman blinds in Nottingham using beautiful fabrics and materials, choose from our range of samples today. What makes our roman blinds special? We cut fabric by hand ‘on grain’ so that the fabric is in a perfect rectangle as it was on the loom. We use a fabulous Roman Blind system from Spain renowned for its smooth sidewinder operation in a choice of metal or white. 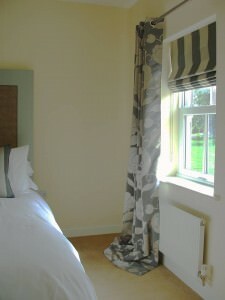 Roman blinds can be fitted to either the outside of the reveal or inside the recess, both ways look just as nice. We have around 5,000 fabrics for Roman Blinds in Nottingham at our large showrooms, so it’s always best to pop in and have a look at our sample books, or call us in advance if you know exactly what you’re looking for! 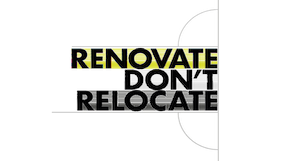 Our designers include: Fabric designers include Harlequin, Prestigious Textiles, Voyage Decoration and Clarke & Clarke. Be inspired! 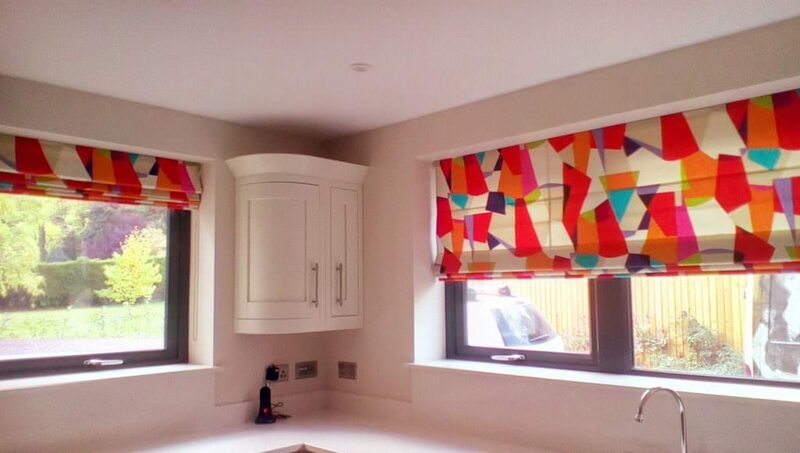 Why not review some examples of Roman Blinds we've done for other customers?